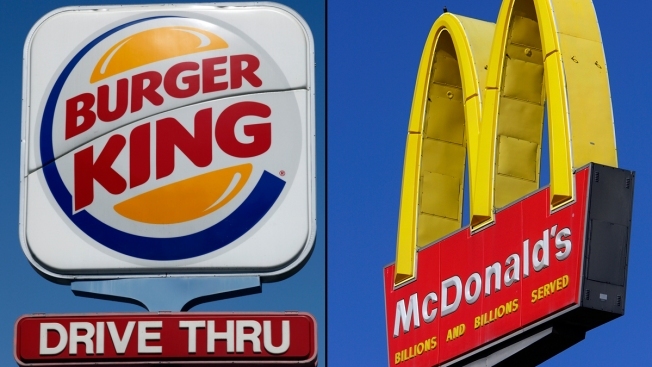 Two popular fast food chains are launching marketing campaigns that appear to help consumers make better choices. Burger King is giving away its new low calorie French fries for free on Oct. 12 and 13 to get late adopters in on the action. The new Satisfries, unveiled in August, boast 40 percent less fat and 30 percent less calories than their regular French fries, the company says. While Burger King is watching our waistlines, McDonald's is attempting to "inspire more family reading time" by stuffing more than 20 million books into their Happy Meals. Between Nov. 1 to Nov. 14, kids who pick up a Happy Meal will enjoy one of McDonald's four original children's book: "The Goat Who Ate Everything," "Deana's Big Dream," "Ant, Can't," and "Doddi the Dodo Goes to Orlando" Each limited ediition book promises to bring "nutrition, imagination and play to life in a fun way," according to a company statement. The new book offerings follows a number of changes the company has made to the Happy Meal over the years. Earlier this year, the chain incorporated smaller kids-sized fries and apple slices into the kid's meal with an option of milk instead of soda.